Comes With A Small And Medium Size Reversible Flat Head/Phillips Head Bit. Magnetic Ports For Accepting Bits. Approximate Size: 5" W x 3/4" H Imprint Area: 1 1/2" W x 1/4" H. Packaging: Cello Bag, 250 per carton @ 30 lbs. Handy pocket screwdriver with Flathead, Phillips Head, Magnet-End or Double-Ended (Flathead+Phillips). Size: 5 1/4" long. Imprint Area: 1 3/4"w x 3/4"h. Shipping: 6 lbs. per 100, bulk packaged. Snap-on chrome pocket clips are bulk packaged separately, to protect the imprints. Fix dwindling sales with this innovative, dual-function, key-ring tool. 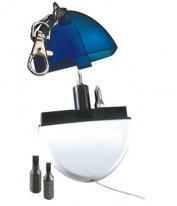 A white LED provides a burst of bright light while three mini-screwdrivers make for easy on-the-go fixes. 3-piece mini-screwdriver set with split-ring White LED with locking on/off switch Batteries included: 3 AG3 button cells (replaceable) . Size: 2-3/4L x 3/4W x 3/4H Standard Print Area: Translucent cover, 1-5/8W x 7/16H Optional Print Area: Back, 1-5/8W x 7/16H Packaging: Individual poly-bag, ring attached Package Quantity: 400 Package Weight: 34 lbs. 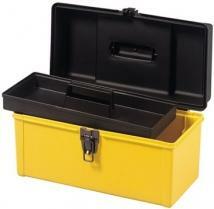 This tool kit stores 6 screwdriver bits in a plastic covered compartment. 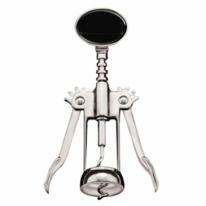 Simply pop open the cover to release the bits and secure them on either end of the tool. Size: 4 3/16" x 1 1/8" Imprint: 3/4" x1 3/4" Packaging: Gift Box. Weight: 15 lbs/100 pcs. Handy pocket screwdriver with Flathead, Phillips Head, Magnet-End or Double-Ended (Flathead+Phillips). Size: 5 1/4" long. Imprint Area: 1 3/4"w x 3/4"h. Shipping: 6 lbs. per 100, bulk packaged. Snap-on chrome pocket clips are bulk packaged separately, to protect the imprints. Available in white only. Illumination light near screwdriver to light up work. Phillips & flat hard screwdrivers (2 sizes each). Button cell battery included (inserted). Level not guaranteed for accuracy. Size: W: 5-1/2" x H: 3/4" Imprint Size: Barrel: 3" x H: 1/2" Optional Imprint Area: Cap: W: 1/4" x H: 3/8" Packaging: Gift Box Ship Weight: 100 QTY/ 14 LBS Carton Size: 16x12x12. This sleek looking aluminum metal level and screwdriver pen also includes 2 interchangeable screwdriver bits and a pocket clip for traveling. Size: 5 1/8" Long Imprint Area: 1 3/4"w x 3/8"h Individually packaged in a white box Carton Size: 14" height x 19" width x 8" length Carton Weight: 31 lbs/300 pcs. 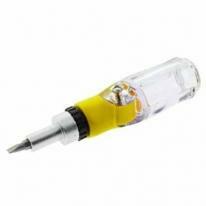 Features 2 Phillips and 2 Flathead screwdriver bits, a bright white LED light, Level, and a pocket clip. Size: 5 1/2" x 1" Imprint: 1/2" x 1 1/2" Packaging: Giftbox Weight: 11 lbs. (100 pcs.). Great for home, desk or travel. Our Pocket Screwdriver Set is versatile and easliy clips to pocket. Set includes 2 philips head and 2 flat head interchangable screwdrivers. Individually polybagged. Size: 4 3/4" W x 3/4" H Max Imprint Area: 1 7/8" W x 7/16" H WT_100: 12 LBS. Paper-Proof: $10. (Required on all labels). 20:10. Make sure your clients have the driver they need, when they need it! Three flathead and two Phillips driver bits are conveniently stored inside the barrel of this handy multi-tool. Includes 3 flathead and 2 Phillips driver bits Handy clip allows for convenient storage in pockets and more . 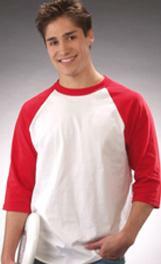 Size: 3-3/4L x 1/2W Standard Print Area: Barrel, 1W x 1/4H Optional Laser Engraving Area: Barrel, 1W x 1/4H (silver underlay). Additional cost. Other decorating methods are available for this item, please call. Packaging: Individual poly-bag. Package Quantity: 500 Package Weight: 27 lbs. The Pocket Driver is an Aluminum metal screw driver with interchangeable bits which are stored in the barrel of the tool and a metal pocket clip. Once the bits are inserted into the tip of the tool there is a magnet to keep them in place. Optional Free Laser Engraving included in the price. Imprint Area: 1 3/8"w X 3/8"h Individually packaged in a white box Carton Size: 9" height x 10" width x 10" length Carton Weight: 36 lbs/200 pcs. 8 screwdriver bits (Phillips & Flat Head). Built sturdy, easy to grip. Magnetic tips to keep bits in place while working. Bright light. Button cell batteries included (inserted). Size: W: 3-7/8" x H: 2-1/4" Imprint Size: Lid: 1-1/4" x H: 1/2" Optional Imprint Area: Silver Base: W: 1" x H: 5/8" Packaging: Gift Box Ship Weight: 100 QTY/ 24 LBS Carton Size: 16x12x12. Oval screwdriver set. Translucent top. Solid white bottom. Key clip. Tape measure is in Inches only. Holds 2 Phillips and 2 flat screw drivers. Individually poly bagged. Size: 2 1/4" W x 2 7/8" H Max Imprint Area: 1 1/4" W x 5/8" H WT_100: 21 LBS. Paper-Proof: $10. (Required on all labels). 20:10. 2 mini Phillips screwdrivers, 3 mini flathead screwdrivers, metallic ABS folding case. Finish/Material: Plastic, Metal Dimensions: 4 1/2" W x 2" H Imprint Area: 1 1/2" W x 1" H Shipping Information: Carton Size: Box Length: 20.10 Box Width: 10.30 Box Height: 16.60 Standard Packaging: Individually Carton Weight: 49 lbs. / 288 pcs. Brushed color and silver finish aluminum pen-shaped tool kit. Screw-top body holds 4 Flathead and 4 Phillips metal bits. Firm hold magnet secures bits at the tip. Shiny silver pocket clip. Small and compact. Great gift! Product Size: 5-1/2"h x 3/4" dia. Imprint Area: 1/4"h x 1-1/4"w Weight: 200 pcs./ 35 lbs. Innovative and award winning safe opening tool that opens almost anything: Blister packs, Boxes, CD's and DVD's, Shrink wrap and much more. 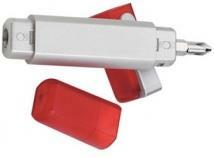 Spring loaded retractable blade and covered safety cutter. Item is white with a blue button. Imprint area on handle: 2-3/4"W x 9/16"H Packaging: Individual poly bag with instructions Shipping: +/- 40 lbs/500 units. This ratchet screwdriver includes 6 screwdriver bits, and 6 hex bits, all interchangeable and stored inside the handle. 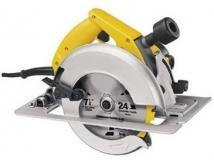 The tool can be changed to a 4545 degree angle for tight spaces. Size: 5 3/4" Long Imprint Area: 1 3/8"w x 3/4"h Individually packaged in a white box Carton Size: 9" height x 13" width x 8" length Carton Weight: 33 lbs/80 pcs. 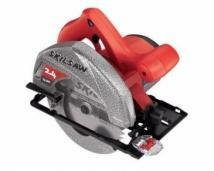 Made of natural hardwood and solid steel, these 14 oz. hammers are imprinted with ad copy on one side of the handle in any standard color. 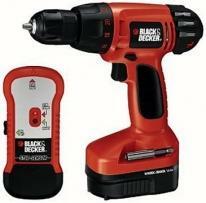 Size : 11-1/2" x 4" x 1"
6 volt reversible cordless screwdriver, 3 Phillips bits, 5 flathead bits, 3 torx bits, durable rubber coated casing. Finish/Material: Metal, Plastic, Rubber Dimensions: 8" W x 1 1/2" H Imprint Area: 1" W x 5/16" H Shipping Information: Carton Size: Box Length: 52.00 Box Width: 22.00 Box Height: 24.00 Standard Packaging: Individually Carton Weight: 31lbs / 50pcs. 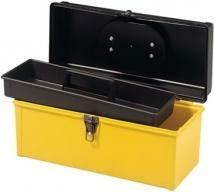 Compact size is ideal for a variety of storage uses The flat top design makes box stackable Features removable plastic tray for organizing small tools and supplies, 1-year limited warranty. 8 oz. Hickory Wood Handle Claw Hammer. Handle is 9 1/2". Overall length is 11 1/2" Long. Steel head. Laser engraved on wood handle. Multiple areas on handle to engrave. Boxed. Approx. Imprint Area: 3/8"H x 5"L. Packaging: Sturdy cardboard box, head is wrapped in poly bag for protection. 4 flathead bits, 3 Phillips bits, 3 torx bits, reversible locking ratchet, twist to open storage. Finish/Material: Metal, Plastic Dimensions: 5 1/2" W x 3 1/2" H Imprint Area: 1" W x 1/4" H Shipping Information: Carton Size: Box Length: 2.00 Box Width: 2.00 Box Height: 2.00 Standard Packaging: Individually Carton Weight: 28lbs / 40pcs. The flat top design makes this tool box stackable, Removable plastic tote tray for organizing small tools and supplies, Comfort grip for ease in carrying, Durable design is lightweight. 16 oz. Black Rubber & Steel Claw Hammer. 7 1/2" Rubber handle with finger grooves. Overall length is 13 1/2" long. Steel head. Laser engraved on steel neck. Boxed. Approx. Imprint Area: 3/8"H x 3"L. Packaging: Sturdy cardboard box, head is wrapped in poly bag for protection. Spindle lock for manual use if desired and for greater control when starting and finishing screws Forward/Reverse slide switch for easy screwdriving and screw removal Textured grip for comfort and control. 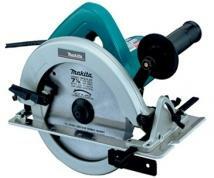 Powerful 3.3 amp motor Cuts hardwood, softwood, plywood and plastic, Blade Support Roller Improves Cutting Accuracy, Line of cut blower Directed air stream gives you better visibility, Two-finger trigger with lock-on Ease of use during demanding jobs, Tool-less foot adjustment For easy angle changes, Multi-blade versatility Accepts both T and U shank, Blade storage - Keeps extra blades on board. 15-Piece Ultralok Set with fast connect accessory system for industrial applications. One handed operation is 75% faster than traditional tool changes with standard or keyless chucks. Includes connector, drill bits, shorty finder/driver, sockets, screw heads, case. Light and compact, it's easy to handle and can be used anywhere, Two-speed motor lets you work at 6,500 or 13,000 rpm, Removable, interchangeable battery packs charge in just three hours, Rugged, shatter resistant housing protects against everyday bumps, Shaft lock button and a unique knurled collet nut make changing bits easy, so no wrench is required. Integrated or Removable 5 Ft. Tape Measure for measuring small and larger areas, Dual Speed Range for drilling holes in high speed and driving screws in low speed, 23 Position Clutch prevents stripping of screws Quick release mechanism prevents bits from coming loose, Handle locks in 3 positions for constricted locations and tight areas, Automatic Spindle Lock for manual use provides greater control when starting and finishing screws, Forward/Reverse Rocker Switch easy to change from screwdriving to screw removal. Micro filter canister, Stops 2x the dust and easier to empty, Soft Grip, For improved comfort and control, Easy mount clamps, For quick paper changes, Dust protected switch, For extended tool life, 100 percent ball bearing construction, For smooth operation and longer motor life. 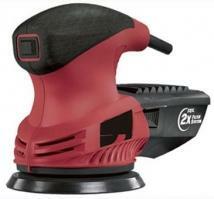 Random Orbit Action removes 2X the surface material in the same time as a 1/4 Sheet Sander, Soft Grip for Improved Comfort, Dust Sealed Switch for Extended Tool Life, All Ball Bearing Construction for Smooth Orbital Action, Pad Break to Control Speed For Consistent Sanding Results. 3/8 keyless chuck , 700 RPM, Forward/Reverse Indicator, On-Tool Storage, Bit Size Index, ScrewControlTM - Match your screwdriving power to the job. Accu-Sight keeps your cut on line Anti-Snag Lower Guard Design reduces snags Safety Lock Guarded Trigger minimizes accidental starts Rear View Depth Adjustment Ergonomic Front, Rear Handles for efficiency & comfort Depth of Cut at 45 Deg. : 1 15/16" max cut Weight (lbs. 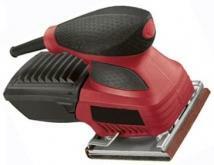 ): 11.8 Rating: 12 A Voltage: 120 V Depth of Cut at 90 Deg. : 2-7/16" max cut Max. 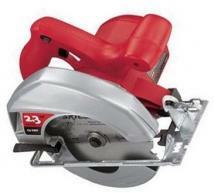 Motor HP: 2.3 HP Power/Duty: 2.3HP No Load RPM: 4600/ min Arbor Size: 5/8 Round. Accu-Sight, Anti-Snag Lower Guard Design, Rear View Depth Adjustment. 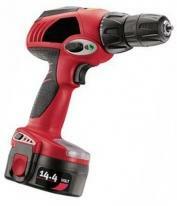 14.4 Volt Cordless Drill with 3/8 keyless chuck , 700 RPM, Forward/Reverse Indicator, On-Tool Storage, Bit Size Index, ScrewControlTM - Match your screwdriving power to the job, Charge Meter - Stay charged. 18V Cordless Drill, Hammer, Nine 1/4 Inch Sockets, 6 Inch Combination Plier, 1/4 Inch Socket Base, 22 Bits with Base, Assorted Screws and Plugs. Charge Base, CUL Approved AC/DC Adapter, Three Way Rachet Handle with Dual Color Handle, 5 Twist Drill Bits, 5 Masonry Drill Bits, 2 Screwdrivers. 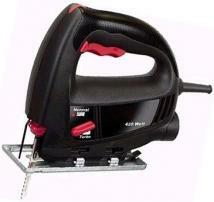 Includes: 6ft Tape Measure, Magnetic Bit Holder, 5 Piece Wood Working Drill Bits. 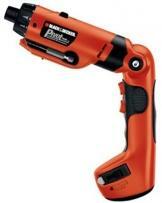 Electric Tester, 6 Combination Wrenches, Eight 1/2 Inch Sockets, Socket Wrench, 10 Inch Water Pump Pliers. 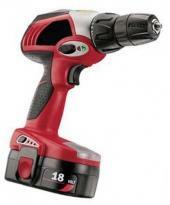 75 Piece Set with Cordless Drill and all Tools Needed for the Home Workshop. Packed in Blow Molded Case. Product Size (H x W x D): 5.00 x 17.00 x 15.00 Imprint Area: Center of Plate 1 1/4"h x 5 1/4"w Packaging: White Sleeve Pieces Per Box: 2 Weight Per Piece: 15.00 lbs. Weight Per Box: 30 lbs. 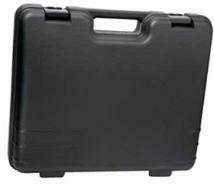 Case Dimensions (L x W x H): 19 x 11 x 16. Tool-free bit change for fast and easy bit changing without a wrench, Turn-on/bump-off switch allows users to easily shut tool off, 5 Amp, 30,000 rpm motor provides more cutting power, Slim body design for less fatigue over prolonged use, Dust-sealed switch provides durability and long switch life, Jampot construction provides jobsite durability. Keyless chuck makes bit changing quick and simple Variable speed/reverse provides controlled drilling & driving in a variety of materials 24 position clutch prevents screws from stripping Built in accessory bit storage for easy access to a variety of (6) 1-inch bits and magnetic bit tip holder Stud Finder detects studs through walls up to 3/4-inch thick. 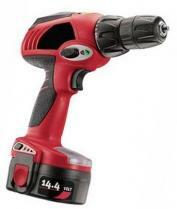 Find it, mark it, drill it, 3/8 keyless chuck , 700 RPM, Forward/Reverse Indicator, On-Tool Storage, Bit Size Index, ScrewControlTM - Match your screwdriving power to the job, Charge Meter - Stay charged. 3/8 keyless chuck , 700 RPM, Forward/Reverse Indicator, On-Tool Storage, Bit Size Index, ScrewControlTM - Match your screwdriving power to the job, Charge Meter - Stay charged. 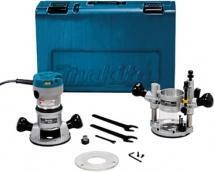 10 AMP / 2 HP Plunge base Multi-pass turrets Auto-Zero capability Collet lock 1/4 capacity. 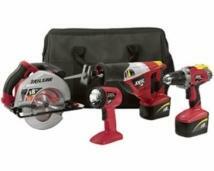 Powerful 10.5 AMP motor. Weighs only 7.7 lbs. Heavy gauge aluminum wraparound base. Ruler markings on base for precise cutting. 84 db noise level. 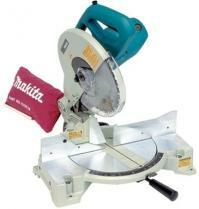 Includes carbide tipped blade, wrench, rip fence, grip assembly, and wrench holder. 9 AMP motor to handles the most demanding jobs, Tool-less Blade Change & Shoe Adjustment, Variable Speed Trigger allows you to match the speed of the blade to the specific application. 0-2,800 strokes per minute. Length of Stroke: 28m. 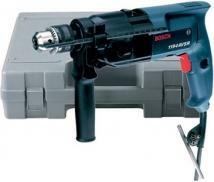 8.0 Amps, 0-1000/2600 RPM, 0-16,000/0-41,600 BPM 2 Speed gear box - Matches speed and torque to the job Dual function control - Quickly converts from rotation only to hammer w/rotation Variable speed and reversing switch - Complete control for drilling, driving and removing bits or screws All ball and roller bearing construction - Smooth Power transmission and extended tool life Ergonomic handle with soft grip - Multiple gripping positions for increased comfort and control 360° Side-handle with depth gauge - Wide range of movement along with consistent drilling depth Lock-on Button. 9.5 lb. 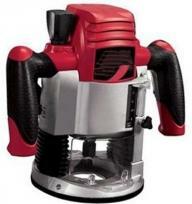 lightweight tool designed to reduce user fatigue and increase productivity, 15 Amp, 2,200 MWO motor powerful enough for the toughest applications, 56-degree beveling capacity with stops at 45-degree and 22.5-degree allows for aggressive bevel cuts while allowing user to locate common angles quickly, Magnesium shoe designed for increased durability, Clear line of sight aids in blade visibility from any angle, Lower guard design improves performance when making bevel cuts and cutting shims. 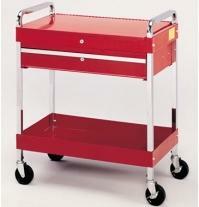 This 1-drawer Ball-bearing utility cart measures 30 x 16 x 35-inches. Rear pivot depth of cut adjustment allows your hand to remain behind the tool at all depth of cuts, Powerful 15 Amp, 2,075 watts motor made for long life and difficult applications, Heavy-gauge, high-strength aluminum alloy base for increased durability on worksite, 50 degree beveling capacity increases capacity in various applications Electric brake stops blade after use, 100% ball and roller bearings extend life of tool. 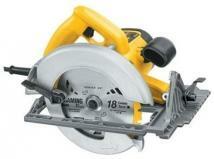 Performs compound cutting operations, bevel cuts up to 45 degrees to the left, miter cuts 45 degrees left and right, powerful 15 AMP motor, adjustable fence for supporting larger stock. Includes dust bag, blade, and triangular rule. 2 Speed Drill/ Driver With Built-in Work Light Full size 7 1/4″ Skilsaw Carbide Blade Included Reciprocating Saw With Turbo-Cut 2 Batteries With Charge Meter Stud Finder: Find It, Mark It, Drill It. Powerful 11 AMP motor. Quiet w/low vibration. Electronic Speed control maintains constant speed even under load for smooth routing. 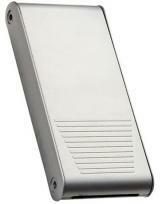 Rugged aluminum motor housing with small 3-1/4-inch diameter. Sub-base accepts industry standard template guides.